Come along with Liberty Lane a lovable eleven year old girl who loves adventure and is eager to learn about the United States and its similarities to the other countries around the world. 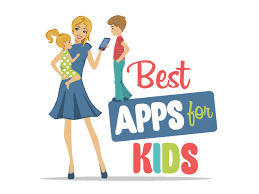 With summer upon us, now is the time that I am on the lookout for great educational apps that I can use during the summer break to keep my kid’s brains from completely turning off. I love using my iPad to “trick” my kids into learning by having them play educational apps that are cleverly disguised as games. World of Liberty “It’s Raining Pumpkins in Delaware” is the PERFECT app to add to my summer arsenal. If you want your children to have a globe-trotting adventure and learn more about our country as well as other countries, then this is the perfect app for you too! Meet Liberty Lane, a feisty, freckle-faced red-headed little girl who loves learning and adventure. Her mission is to learn all about the world around her and discover what she calls “country connections”. These connections are ways that our country is similar to other countries around the world. With her fluffy talking dog Ellie, a toy eagle named Georgie and an airplane named Truman she is ready to go exploring! Her first stop is Delaware, the first of the original 13 colonies to become a state. There she learns all about the state of Delaware including the state bird, the state capital, and even the state bug! She also makes her way to the city of Wilmington where she learns of the city’s connection to Kalmar, Sweden! Naturally, she must visit Sweden and discover the story of how the cities became sister cities. Liberty meets some fun new friends in Sweden and even helps them learn about fun American customs for celebrating Halloween! At the end of Liberty’s adventure, your children can review what they’ve learned about Delaware and Sweden with a fun quiz game. The best thing about this World of Liberty app is that the interactive story reads more like an adventure story than a history lesson. Liberty Lane is the perfect tour guide with her pep and enthusiasm for learning and adventure. Her sidekicks Ellie, Georgie and Truman and equally as lovable and add plenty of fun and humor to the story. The illustrations in this story are really fun and unique and the narration is very well done with voices that really appeal to young children. The app alludes that more adventures with Liberty and her pals are on the way, and I certainly hope there are 49 more for the rest of the states! My older kids have really enjoyed reading this book with me. There are “Read to Me” and “Read Myself” options for this book but in my opinion it is geared more towards older kids, maybe 2nd grade and up, as the story is a bit too long for younger children. So this summer, pack your bags and travel to Delaware and Sweden with Liberty Lane! It is a summer vacation you won’t soon forget! 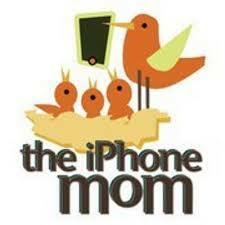 I really liked the idea behind this storybook app. I have always thought that if people (and especially kids) learn more about the world outside their own borders, they will be more open and accepting of new ideas. And World of Liberty does an excellent job of combining interesting facts about the world with an engaging story that children will enjoy. The artwork was fun to look at. This great storybook app has over 60 pages of drawings and animations that children will enjoy. World of Liberty suggests that the app is aimed at children aged 6 – 8, and that sounds about right to me. The youngest children of that group may not fully grasp all the concepts in the story, but everybody should comprehend the message of inclusion and exploration. Four Mums from Australia, USA, England and Signapore. It’s Raining Pumpkins in Delaware by World of Liberty, LLC is an interactive universal storybook designed for iOS by Ogg Studios that takes different parts of the United States and explores how they connect to other parts of the country called “country connections” which helps to understand what America has in common with other countries with a focus on one specific state and one country at a time. 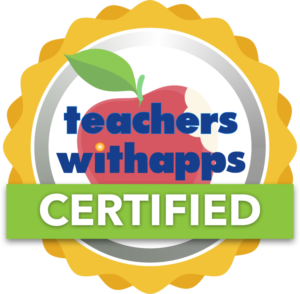 As a mom and a teacher, I’m loving this app! I’m always looking for ways to inspire my kids and pique their curiosity about history and geography while they are young. Both my children, ages 5 and 10, were totally engaged and learned something new… And so did I! Can’t wait for more. Make sure to hit the pause button when answering questions at the end! It was fun to hear the kids tell what they learned! Bravo! This is such an amazing app! Kids love it. I am a librarian and currently tutoring a reading intervention program and this app has so much to offer. The educational part is so great for so many ages, from the country connections to the highlighted reading feature, so much is being taught and learned. I can’t wait to share it with my classes next year! Way to go, keep them coming….looking forward to Liberty’s next adventure. What a fun way for kids to learn the world around them. I love this App! I look forward to reading the episode when Liberty comes to Australia. Great way to spark a kids curiosity about the world. Funny characters ,beautiful artwork. Looking forward to more stories. My children really liked this story, we had fun, learned some new things. Hopefully, there will be a new story soon. Love it! The concept is so wonderful. Encouraging kids not just to learn about our country’s history, but about connections with the rest of the world is fantastic. The different voices help to set it apart from the rest. I love the different “reading settings.” (On your own or the app does it for you.) I have a 10 month old who loves the music and voices, gives mommy a little break :). My 18 month old nephew loves reading his “book” (iPad) and this has been a great addition. He dances along to the song! I can’t wait for more to come out! My son’s, 8 & 6, love this app. They both enjoy having the app read to them and learning about the states. I love the concept and how it teaches them about our country in a fun way. They can’t wait for the next state! Wonderful animation and sound. I appreciate there are different voices for every character giving them their own personalities. A very fun, easy way to learn about the states and other countries.